A flair for the dramatic lawyer who specializes in the art of "enhanced" testimony. A great believer in surprise witnesses. 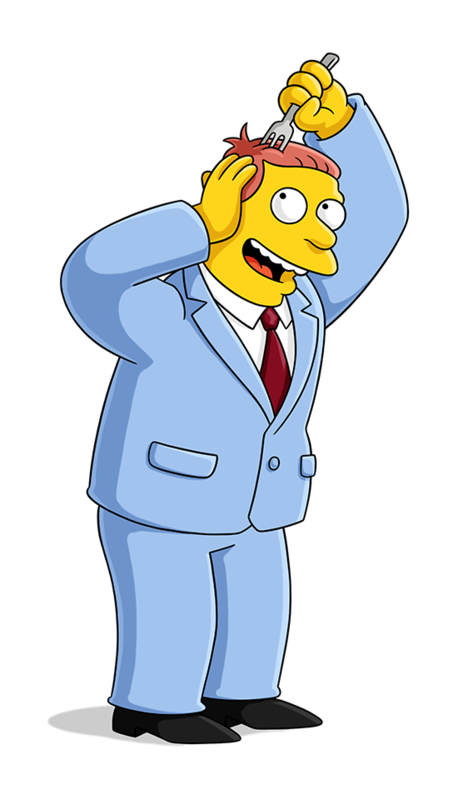 Despite his unorthodox methods, Hutz has never won a case. In fact, during one notable trial he managed to plea bargain a client's parking ticket into the death penalty. Turn on: the siren call of the ambulance. Says, "Ching, ching, ching! I think we can cash in on this tragedy." Bart tells an exaggerated story of how Mr. Burns hit him with his car. Doctor, are you sure there isn't a little soft tissue trauma in the facial area? There's the truth and the 'truth'.